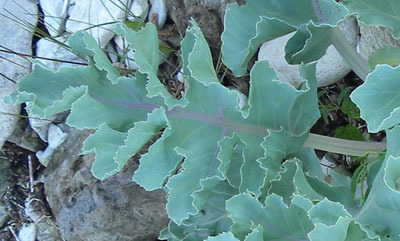 Buy Sea Kale, Crambe maritima. 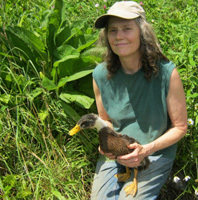 Edible Perennial Seakale. Seeds and roots/thongs for sale. $53.12: Buy 64 Sea Kale seed pods = 64 seeds. One seed per pod. 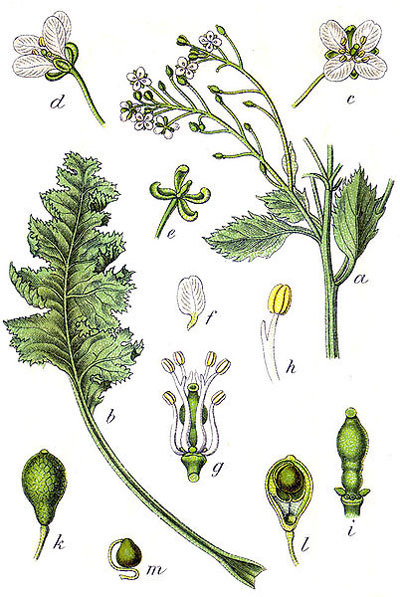 Crambe maritima. Perennial. $27.84: Buy 32 Sea Kale seed pods = 32 seeds. 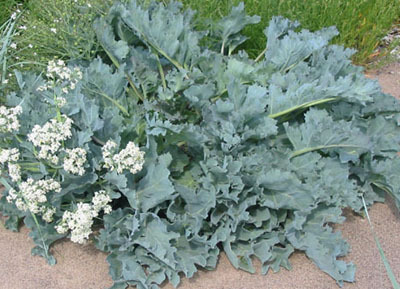 $14.50: Buy 16 Sea Kale seed pods = 16 seeds. Shipping $1.95. Includes flyer about how to grow Sea Kale. I sell seeds/pods only. No roots/thongs. 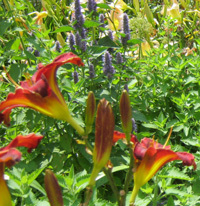 It is a very hardy, robust perennial with thick blue-green-gray leaves. Tolerates temperatures as low as minus 30! The leaves are fleshy and large. It is related to cabbage. It forms into clumps or mounds. 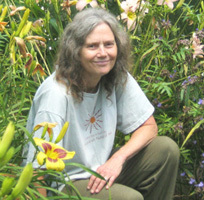 Plants live about 7-12 years. Blooms early and mid summer. The flowerheads look like broccoli heads. The flowers are white (lilywhite) in the variety that I sell. Edible parts can be blanched. Cut stems when 8 inches tall. 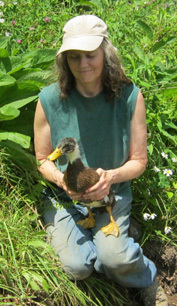 Eat roots, shoots, stems, young flowerheads and leaves raw or cooked. Leaf midribs (stems, stalks) are cooked like asparagus and taste somewhat like kohlrabi. The leaves taste something like collards or strong cabbage. 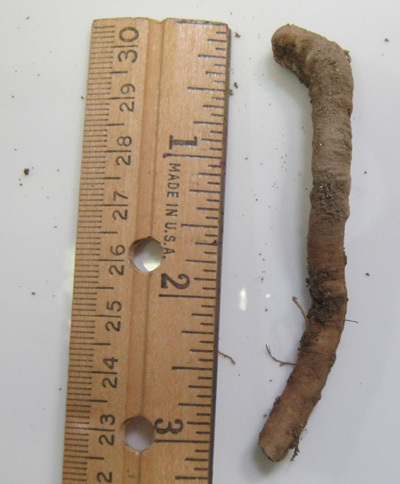 The roots are starchy and contain some protein too. Seeds can be sown at any time. The best temperature is 45-68 degrees F. The best time to sow is late winter through early spring. It naturally likes to germinate in spring. Seeds sown in summer or fall may germinate then, or the following spring. 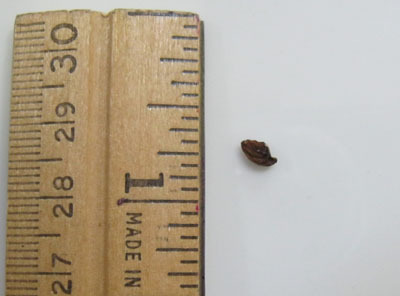 Seakale has a corky covering over the seed. Remove the covering to speed up germination. It can take 3 or more weeks to sprout. Keep the soil moist. Sow 1/2 inch deep. The best is soil with some compost. You can sow seeds 6 inches apart if you are short on space. Eventually they need to be about 30 inches apart. Thin seedlings when they have 3-4 leaves. Seedlings tolerate being transplanted. Grows 2 feet tall and 3 feet across. Matures in 100 days. Plants live about 7 years. The second photo is a young plant coming up in spring. 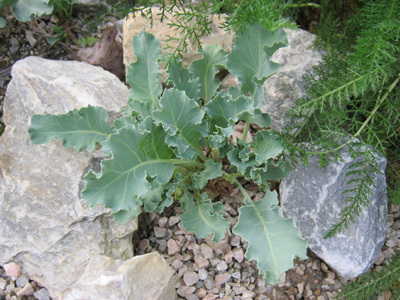 You can also propagate sea kale by root cuttings or thongs. Thongs are 3-4 inches long and about as thick as a pencil. They are usually dug and cut in November or December. The top end is marked. Then they are placed in sand and put in a refrigerator until spring, usually March. By March there are buds on the roots. The thongs are planted outside, vertically with the top and one or more buds just under the soil. We have not done any experimenting with different methods of planting. But you may want to try some. 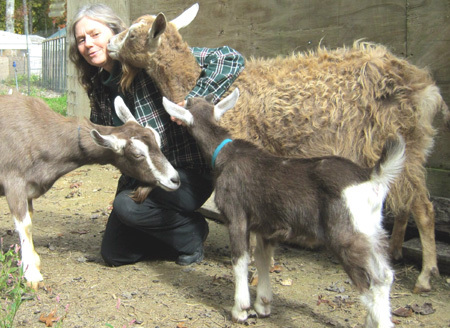 I only sell Sea Kale seeds/pods. I don't sell the roots/thongs. It likes full sun but will tolerate some shade. Grow in sandy soil with pH around 7.0. However, it is not picky about pH or soil type. Must have good drainage. Very few diseases or pests except for clubroot. It is salt and drought tolerant. Good in maritime environments. It can live in places most other plants can't. It is slow to grow the first year. Lightly harvest the first 2 years. Young shoots are usually eaten in the spring but it can be eaten all summer. It can be blanched for eating in the fall or winter. Once it is mature, do not harvest all the leaves. It needs some leaves left to grow and maintain health. Seakale grows wild in Europe along the coasts from the North Atlantic to the Black Sea. People collect it along the seashores in the spring. It was a popular vegetable in the 1600s and 1700s. Thomas Jefferson wrote about it in his "Garden Book of 1809". He cultivated it in his garden. The Romans took it with them in barrels on their ships. It has a lot of vitamin C so it prevented scurvy. Harvest seeds in the fall. 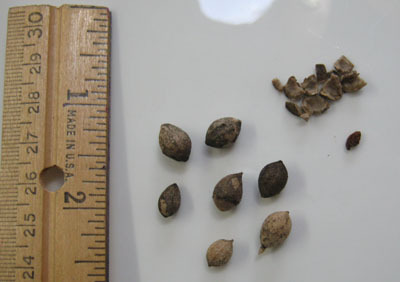 Each seed is encased in a round, brown, corky pod. Since Seakale likes to grow near the sea, the pods are designed to float. They are carried by the tide to new locations. Each pod has only one seed. The photo to the left is a seed. The photo above on the right side of the photo has a seed with the broken pod pieces above it. 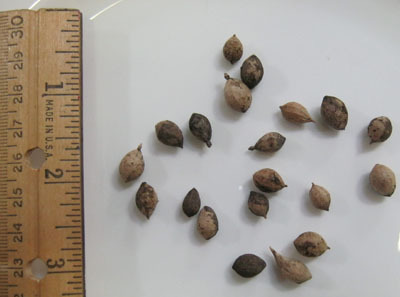 Seeds vary in color from light to dark brown. The leaves and flowers are very interesting. It's a unqiue plant that adds character to your garden. Bees love it. Its leaves start growing in early spring and stay green until hard frosts. 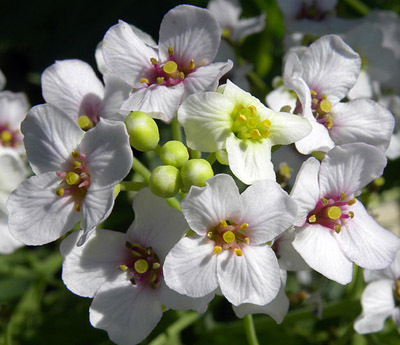 Other names for it are chou marin, silver kale, blue seakale, halmyrides, sea-colewort, and scurvy grass. Sea Kale is not the same as Sea-Kale Cabbage. Preheat oven to 350 degrees. Add olive oil, salt, and sea kale stalks to a frying pan. Cook gently for three or four minutes. Then place it in the oven to roast for three minutes until tender. 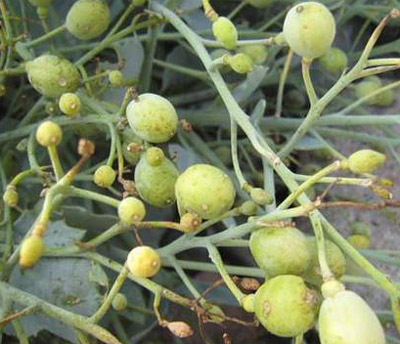 The photo to the left are the immature seed pods that will later turn brown. Contact me if you are ordering more than one type of seed, root or plant. I can discount shipping. All seeds are shipped by First Class or Priority Mail through the Post Office. Email: ncfarmgarden@gmail.com. I ship to USA only. PayPal Shopping Cart: You can pay with PayPal online using my shopping cart. All products have buttons you can click to order this way. You do not have to have a PayPal account to pay with your credit or debit card. PayPal Money Request by Email: I send a PayPal Money Request by email. You pay online. 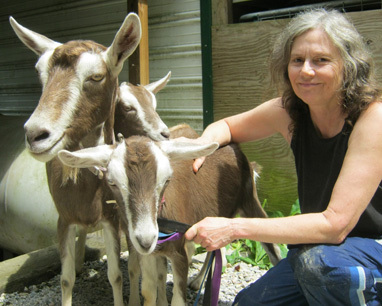 Or you can send a PayPal payment from your PayPal account to ncfarmgarden@gmail.com. I ship to everywhere in the United States. I do not ship outside the United States.